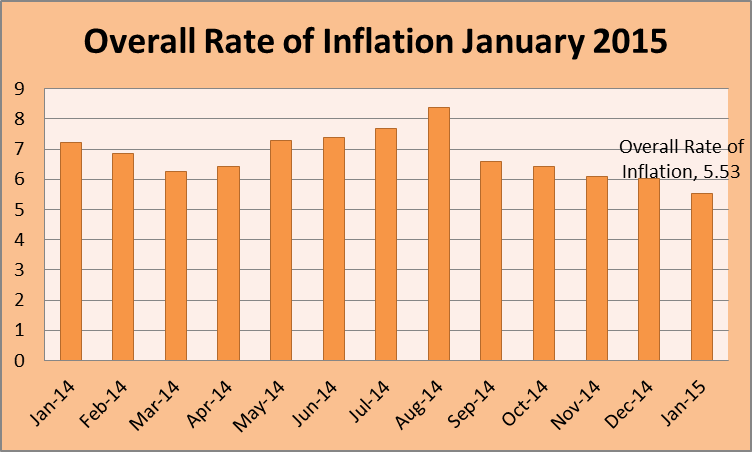 Kenya National Bureau of Statistics hereby releases Consumer Price Indices (CPI) and inflation rates for January 2015. These numbers have been generated using data collected during the second and third weeks of the month under review. The prices were obtained from selected retail outlets in 25 data collection zones located in 13 urban centers. Kenya National Bureau of Statistics hereby releases the Producer Price Index (PPI) for the fourth quarter of 2014. Producer Price Index measures the gross changes in the trading price of products on the domestic and the non-domestic markets, at all stages of processing. The price changes are measured from the perspective of the producer. The producer prices are collected as at 15th February, 15th May, 15th August and 15th November of the year. These dates corresponds to the first, second, third and fourth quarters respectively. The Producer Price Indices are grouped according to the International Standards of Industrial Classifications of All Economic Activities (ISIC) Rev 4. The overall producer prices decreased by 1.28 per cent in the fourth quarter of 2014 compared to an increase of 0.69 per cent recorded in the third quarter of 2014. 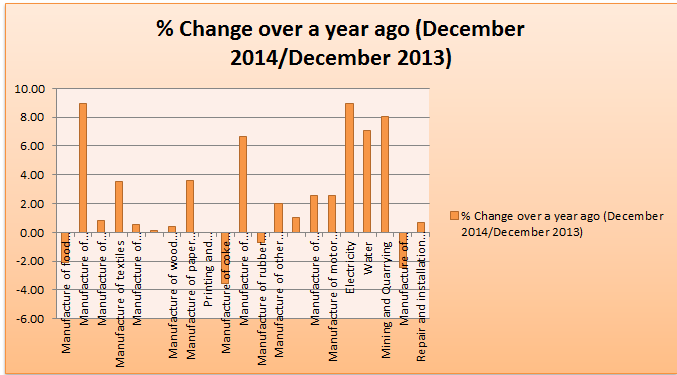 The ‘year on year’ PPI inflation, from December 2013 to December 2014 was 1.24 per cent.